These detailed maps normally cover an area of about one and a half miles by one mile. Each map includes an introduction. The Middlesex maps link up with those for London to form a major series for the Greater London area. Two maps for the price of one! This publication includes the editions of 1894 AND 1935.It covers the area around The Green and West Drayton Mill. The 1894 version also includes part of Buckinghamshire around Thorney Mill. The 1935 version, on the reverse, just has the Middlesex (but busier) part of the map. The main feature is The Green and the buildings around it, including Woodpecker Farm, Britannia Brewery, West Drayton Mill, Drayton House, Swan Inn, and the various branches of the River Colne, including Fray's River and Wyrardisbury River. Features include Rotary Photographic Works, Padcroft Boys Home, St Anne's Home, Para Rubber Mills, Philpot's Farm, Cowley Peachey, Thorney Weir Cottage, stretch of Grand Junction Canal, Slough Branch canal, GWR main line, Uxbridge Branch and Staines Branch, Trout & Chequers Inn, Little Britain; also Iver village centre with St Peter's church, Huntsmoor Farm, Delaford House, Bridgefoot House, Delaford Park. The map links up with sheets 14.11 Yiewsley West to the north, 14.16 West Drayton to the east, and 19.03 Harmondsworth to the south. 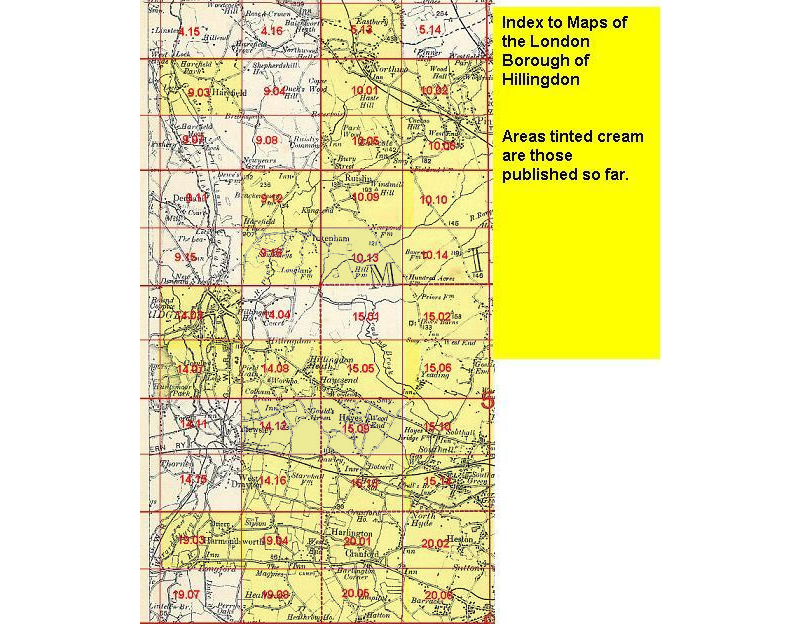 Follow this link for a list of our maps for the London Borough of Hillingdon, or here for a complete list of our London maps .